Offering testimony at the State Capitol on LB 316 with thanks to Senator Mark Kolterman. Thriving in the ever-changing field of pharmacy can take your full focus. Pharmacists do not have to operate in a vacuum. The staff at the NPA puts reliable information resources right at your fingertips every day so you can dial down the pressure and be confident that you are keeping up on the latest. Don't let your kids confuse meds for candy. Beware and bag up those leftover meds and dispose of with care. Find a participating pharmacy near you. You have a voice and can be heard in many different ways at the state and federal level. With your involvement, we will remain a viable resource to support our members far into the future. We offer continuing pharmacy education opportunities across many practice areas. Members receive unlimited access to members-only resources. sites, the Nebraska Drug Utilization Review (DUR) and Nebraska MEDS programs. We serve as a primary source to educate our members, advocate on their behalf, and connect them to resources and one another. We respond to our members directly, answering calls right away. We believe in our mission which is all about helping and supporting you and the pharmacy profession. We encourage your participation to help strengthen networking and mentoring to ensure that we meet the needs for all of our diverse members. We have a greater collective impact when we gather candid feedback from our members, former members, and professionals who have not yet joined our association. The DEA Take-Back Day is April 27 at 10:00 am, but remember that Everyday is Take-Back Day in Nebraska with over 320 drug take-back pharmacies in Nebraska, visit leftovermeds.com for more information. 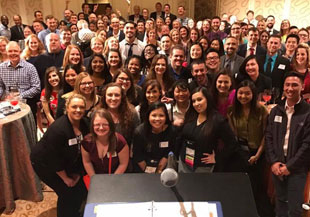 The NPA has joined Pharmacists for Healthier Lives – a coalition of national and state pharmacy organizations coming together in a coordinated effort to raise the collective profile of the pharmacy profession. 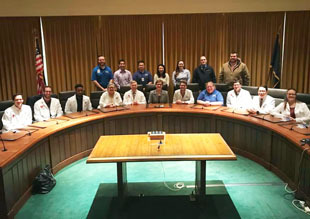 The coalition, led by the American Association of Colleges of Pharmacy, has created a national awareness campaign to highlight the important role of pharmacists in helping people live their healthiest, happiest lives. The NPA Board of Directors approved financial and promotional support for the campaign as it aligns with the association's strategic plan to enhance public perception and awareness regarding the value of the pharmacy profession and its role on the healthcare team. 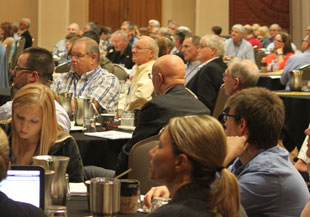 The NPA 2019 Annual Convention will be held on Friday, July 19th and Saturday, July 20th, at the Cornhusker Marriott Hotel in Lincoln, Nebraska. Make your room reservation now! The NPA is proud to serve the pharmacy community in Nebraska and anywhere our pharmacy professionals call home.